Everybody knows black ebony from the fairy tale Snow White. It can be found in Africa and East-India. The most beautiful and precious ebony comes from Gabon.  The natural wood is jet black in color--an absolute rarity among woods. Currently Madagascar is the main supplier for ebony. The tree can grow to about 98 feet and does not have any visible annual rings. Hardly any wood is harder than ebony, which makes processing the wood very complex. Rosewood is often wrongly believed to come from our rose gardens, but in fact it is a subtropical deciduous tree that has a rose-like scent when freshly cut. 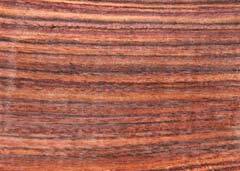 The most beautiful rosewood (the one that we are using) is the Bahia-Rosewood characterized by its reddish coloration. It comes from Brazil and reaches 33 feet. Often times, what might be labeled rosewood is actually dark-brown palisander wood of the Dalbergia family. 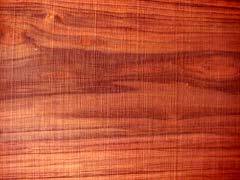 kingwood belongs to genus of palisander woods and has a cocoa-brown coloring with linear grain. All wood used in our production of needles has grown very slowly which ensures a very high density of 1.1 to 1.3. This means they are heavy enough to sink in water. Due to this high density working with this raw material is rather complex but also allows us to produce an incredibly smooth end product. The treatment with natural vegetable oil and beeswax-balm guarantees a surface smooth enough for knitting with mohair and silk. We only use a premium selection of the instrument wood, which is very hard to come by and very expensive. The wood is honed, then checked and selected for its stability. During each subsequent step of production, the future needles are repeatedly tested until the last flex-test at the very end. We work very hard to ensure the best quality. Theoretically, a diameter of 2.5 mm is too thin to be flexed during knitting--as many knitters are in the habit of doing. But we realized that knitters are loath to do without this needle size even if it means that a needle will break every now and then. They rather by a substitute needle. This is why we are now offering a new version called "Set 5+1", i.e., a set of 6 double points (incl a spare), in case you break a needle. However, those among us who do not knit too tightly usually do not have to worry about breaking needles. And after a short while those knitters used to knitting very tightly get a feeling for the new material and stop over-bending it. From time to time we hear objections to us using tropical wood. That is why we want to inform you that in our production we only use wood left over from musical instrument manufacture. In turn, the instrument industry is a member of the German association VDH, which ensures that logging happens according to the principles of sustainable forestry and that it takes place under very strict ecological guidelines, including the careful organization of the transport. Moreover, the tree population in Africa and Brazil is so vast that previously logged areas are already yielding new growth, preventing expansion into more remote corners. The choice of wood is ultimately just a question of preference. All woods mentioned are very similar. There are only two differences regarding their use. The first difference is the color. Our African ebony is a deep black. People who have poor eyesight and would like to work with dark yarn should use rosewood, because of its lighter color. Another difference is the hardness. Ebony is said to be one of the hardest woods in the world. Knitters who were used to the very flexible bamboo needles should, when using smaller needle sizes, start knitting with rosewood needles until they develop a feeling for the new material. Also knitters who knit very tightly break a thinner needle more often. This is why we recommend they start with rosewood, too. But you will get a feeling for the correct usage of the needles very quickly. It is similar to a new car; you will later appreciate the advantages and wouldn't want to miss them.